The District of Columbia and Puerto Rico are included in the table but are not ranked. 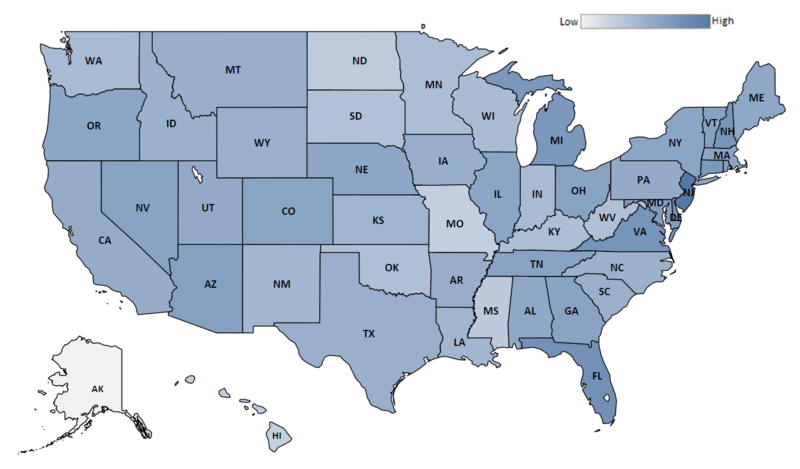 States are ranked based on the number of complaints per 100,000 population. Complaints include the total number of FY 2017 complaints submitted to the FTC. Population estimates are based on 2016 U.S. Census population estimates.